There was a time not so long ago when glorifying the horrific, systemic abuse culinary professionals suffer on a daily basis was not just cool, it was de rigueur for food writers. The first nonfiction book that truly captured my imagination was Heat by Bill Buford, a piece that worships Mario Batali and describes his worst behavior as so charming as to be harmless. Simultaneously exposing and celebrating the backward culture of the kitchen made Anthony Bourdain a household name, and Gabrielle Hamilton nostalgically recounted stealing from her employers as a young restaurant worker in Blood, Bones, and Butter. But as the culinary world is increasingly under a cultural microscope, this brutal status quo is finally changing. And Food & Wine is ready to tell the stories of the restaurateurs who are changing it. 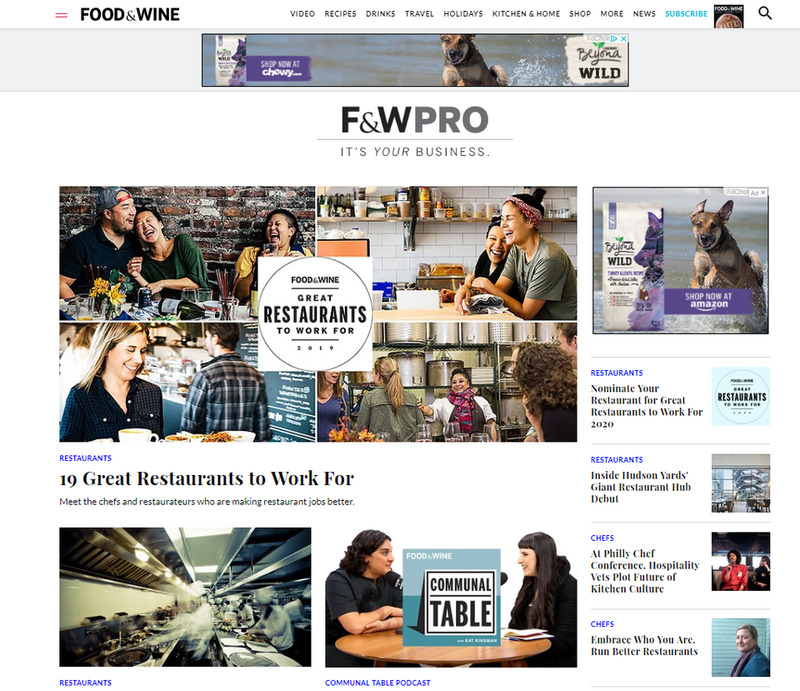 The section, along with a new dedicated industry newsletter and an increased focus on kitchen culture in its event programming will certainly do that on its own, but perhaps the most significant part of this announcement is Food & Wine’s new podcast. Hosted by impeccably quaffed mental health warrior and food writing veteran Kat Kinsman, Communal Table interrogates questions of what it means to work in restaurants, why we love food the way we do, and how to keep yourself going in an underpaid, overhyped world. 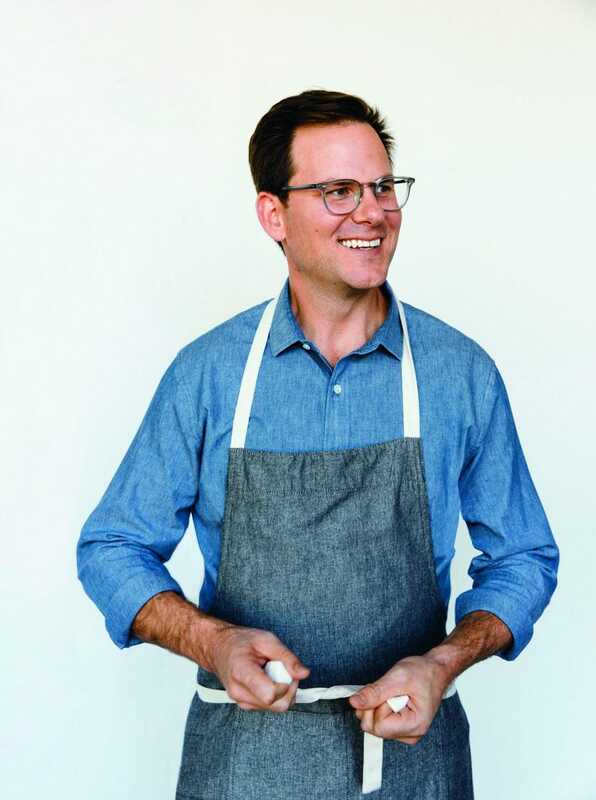 Kinsman will be interviewing luminaries of the food world, "about how they manage their business, brain, and body for the long haul." The first episode features Kinsman and Samin Nosrat of Salt Acid Fat Heat bonding over their experiences in therapy, ruminating on the strangeness of being yourself for a living and the grueling brutality inherent in writing anything honestly. A strong start, to be sure - it made another food writer friend of mine cry and got me pretty close. Lewis is excited about the podcast, and mentioned that he's been wanting to work with Kinsman for years now, but, "as someone who came up through restaurants in New York City and then became Editor in Chief of Food & Wine, I owe my success to the people I worked with and worked for. In both food media and in restaurants, the mentorship I had along the way was incredibly important." He wants to celebrate the best of those mentors, and as such, he's ebullient about F&W's new list: "Great Restaurants to Work For". The list, compiled with an investigative journalist over the course of the last year, highlights 19 restaurants across the country that take care of their employees and live up to the expectations we need to be demanding. "The goal with this list is to create a new conversation that makes the American restaurant customer think differently about restaurants. It’s about how these restaurants lead and how they treat their employees. We pay a lot of attention now to the transparency of sourcing ingredients and organic little gem lettuces, so we, as sophisticated restaurant customers, need to start paying more attention to the culture of restaurants--how the employees are treated and how the managers lead--because ultimately that creates better hospitality." Something that has come up again and again since I started this beat is the idea that any business runs better if its employees feel valued, listened to, taken care of and compensated for their work. Restaurants have historically been places that tend to disregard those principles, but Food & Wine is sending a strong message that it is done letting that slide. Hopefully, it will lead to better restaurants not just to work at, but to visit as well.